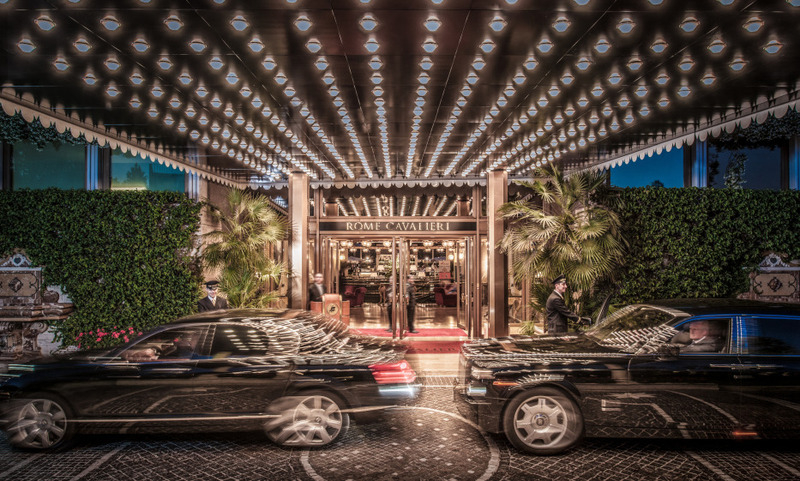 The Rome Cavalieri, A Waldorf Astoria Resort isn’t for the tourist who settles for basic accommodation close to the Trevi Fountain. The hotel is perched on the heights of Monte Mario, boasting 15 acres of grounds and spectacular views of the city below. Guests are whisked to the city center by the hotel’s free shuttle bus, which leaves every hour; the hotel’s stellar services, however, will tempt you into spending the day luxuriating at the Grand Spa Club (one of the best spas in Italy), lounging in the manicured gardens or admiring the hotel’s collection of over 1000 antique tapestries, paintings, and sculptures – including three famous Tiepolos. The hotel is also the place where you’ll find La Pergola, Rome’s only three Michelin star restaurant. Take advantage of the only luxury resort in the Eternal City with 4 swimming pools including a children’s pool. Do not miss a dinner at La Pergola, the only 3* Michelin Restaurant in Rome for 10 consecutive years, headed by Chef Heinz Beck since 1994. Discover the largest private Art Collection within a hotel worldwide, included a Tiepolo triptych and the ‘Dollar’ series by Andy Warhol. Beautiful Hotel. Staff was great. My wife, Mother in law and son were there on an emotional stay due to a death in the family. Although I could not travel with them the hotel and grand luxury insured all was taken care of and delivered a superior experience. My wife was highly appreciative of the hotel’s attention to detail, the beauty of the property and the great staff . Front Desk and Concierge were very helpful. The hotel artwork was breathtaking. This is a one of a kind hotel in Rome and highly recommended. A very beautiful hotel with flawless service delivered by friendly and approachable staff. Views to die for, large comfortable rooms, excellent beds, courteous &amp; friendly staff who met every request promptly and with a smile. La Pergola was a special treat and the staff made our 7 year old granddaughter feel very special indeed. Beautiful hotel, amazing breakfast buffet, excellent gym facilities, breathtaking view of Rome!!! Will definitely visit again! It was amazing and for my next visit to Rome, I will return to the Rome Cavalieri hotel. The Breakfast was wonderful.